The Bible’s first man stands at the center of a crisis that is shaking much of Christianity. In the evangelical world, scholars have been ostracized and banished from their academic communities for endorsing a modern scientific understanding of the world, even as they remained strong Christians. Self-appointed gatekeepers of traditional theology demand intellectual allegiance to an implausible interpretation of the Genesis creation story, insisting that all humanity must be descended from a single, perfect human pair, Adam and Eve. Such a view is utterly at odds with contemporary science. It wasn’t always this way. Karl Giberson spotlights the venerable tradition of Christian engagement with new knowledge and discoveries. 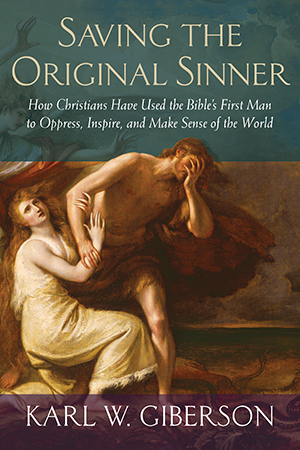 When global exploration, anthropology, geology, paleontology, biblical studies, and even linguistics cast doubt on the historicity of Adam and his literal fall into sin, Christians responded by creatively reimagining the creation story, letting Adam “evolve” to accommodate his changing context. Even conservative evangelical institutions until recently encouraged serious engagement with evolutionary science, unhindered by the straitjacket of young-earth creationism, intelligent design, or other views demanding that Adam be a historical figure. —Peter Enns is Abram S. Clemens professor of Biblical Studies at Eastern University, and author of The Bible Tells Me So: Why Defending Scripture Has Made Us Unable to Read It. Professor Enns was forced to leave Westminster Theological Seminary after 14 years of teaching and administration because of his book Inspiration and Incarnation: Evangelicals and The Problem of the Old Testament. —John Schneider teaches philosophy at Grand Valley State University and is publishing actively on the implications of evolutionary science for Christian Faith. Long a leading evangelical theologian, Professor Schneider was forced to leave Calvin College after 25 years of teaching for publishing a paper suggesting that Adam and Eve were not historical figures. CHAPTER EIGHT: Too Many Adams? Or None at All? CHAPTER NINE: Mark of Cain, Curse of Ham: Is God a Racist?